Trinidad and Tobago's Tribe’s alternative concept has been revealed for Carnival 2018. A teaser at the end of the costume presentations last Saturday revealed a new mas entity known as Rogue. Rogue is a collaboration between Tribe and events group Caesar’s Army. The band will join the Tribe family of Tribe, Bliss and The Lost Tribe on the road for Carnival Monday and Tuesday. Speaking to Loop after watching the teaser for his band on stage, Jules Sobion of Caesar’s Army, said there was space for a new band. “There is a space to have a difference and Rogue is the difference,” he said. 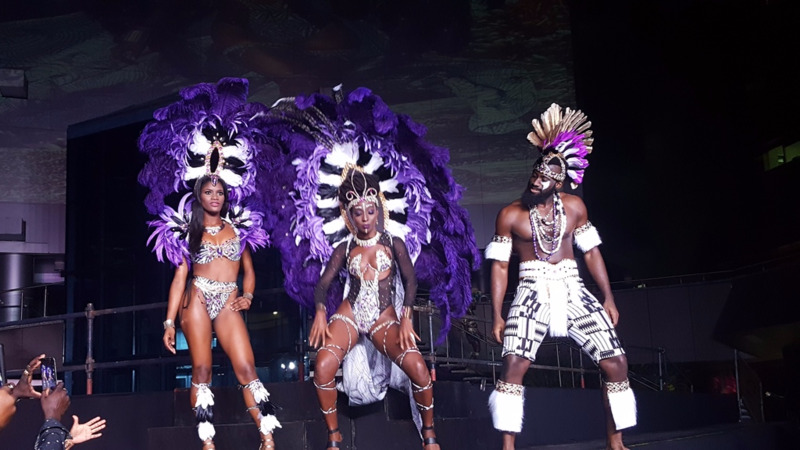 Sobion said a band is a natural evolution of his brand which already occupies the Carnival space with popular events such as Bacchanal Road, AM Bush and AM Jam. “When you have a band you can influence a following,” he said. Rogue will officially launch on Friday at an invitation-only event. Keep reading Loop for updates on the alternative experience Rogue will offer to masqueraders for Carnival 2018.